What are Your Receivables Worth? Accounts receivable recovery statistics (like the ones displayed in the image above) are used when a bank or lender is placing a dollar value on your accounts receivable. A savvy way to look at your accounts receivable portfolio is through the eyes of a lender. The bar graph above clearly shows the biggest factor affecting how much your receivables are worth, is TIME. It should be noted that the percentages, or formula used by different lenders, may vary by a couple of percentage points. However, the average recovery percentage range has been declining over the last 20 years. Lenders simply dissect an accounts receivable portfolio into months outstanding along with the amounts. Using the percentages in the bar graph above a block of accounts that are 90 days old are only worth 73% of the amount their customers owe. In effect, the lender will only advance or loan $730 for every $1,000 on that block of 90 day accounts. 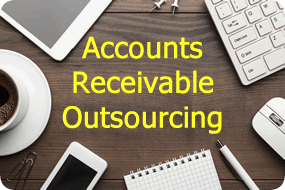 The biggest mistake in accounts receivable is holding on to an account for too long. Every day that ticks by decreases your odds of collecting the full amount you are owed. In accounts receivable it is more profitable to be proactive rather than reactive. A smart accounts receivable department has a determined time deadline where an account is listed with an agency, or other internal action is taken. There are also big early warning signs when an account starts to go sour. Commercial accounts are far more vulnerable to time than consumer. Instead of ignoring the warning signs give us a call. IRS is also a valuable resource when you are contemplating whether to list an account for collection. In some cases we already know all about the debtor from current and past collections. We also integrate skip tracing with our debt collection so IRS is a great solution for accounts where the debtor has skipped. When the tipping point comes on an account, you should consider IRS. We offer consumer and commercial contingency debt collection supported by a host of related services. We’re the agency many BC law firms use to collect their receivables. It is better to get X% of something than a 100% of nothing. Have any questions? Give us a call or schedule your free consultation on accounts receivable.